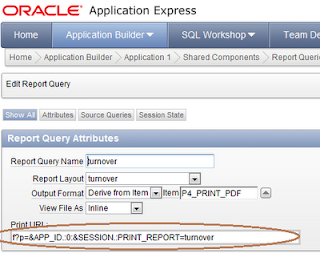 I had recently explored the way to use BI publisher for creating reports and intgrating it with any APEX application regions. 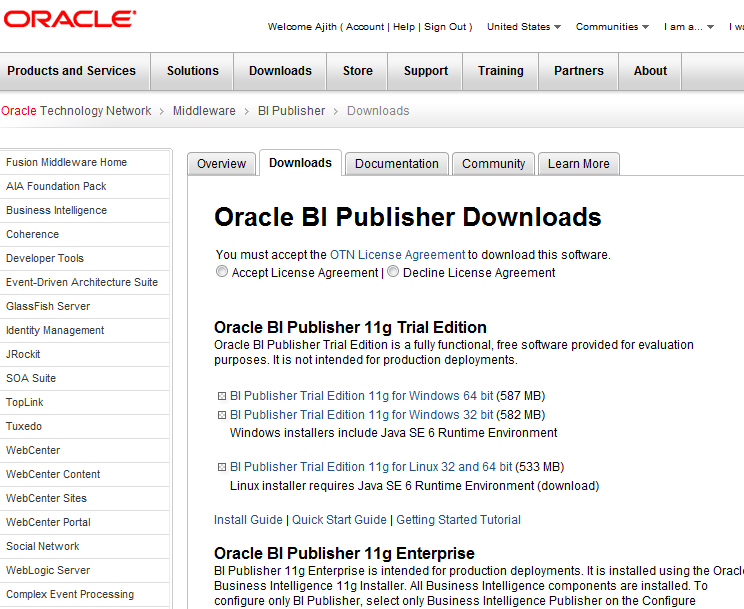 1) Download & Install Oracle BI publisher(trial version of course) from OTN, It needs a license. 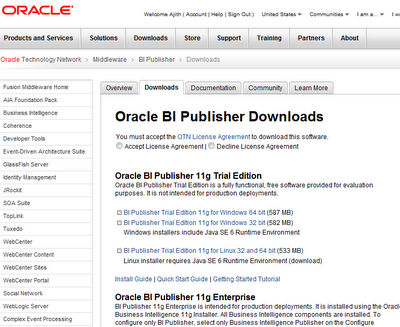 2) Download & Install Oracle BI publisher desktop again from OTN. 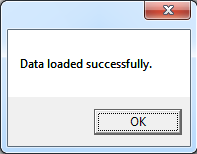 (After this install you can see an additional BI pulisher plugin in MS word). 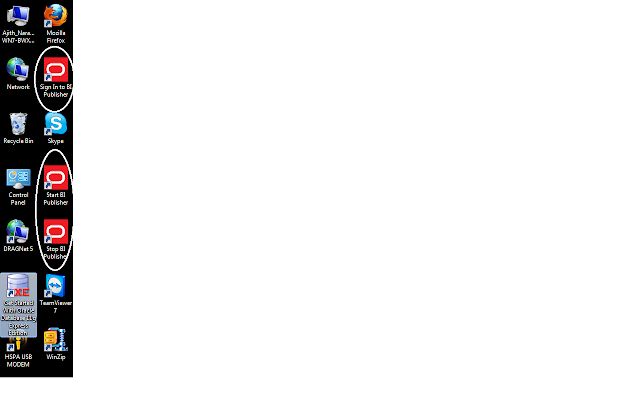 3) You need to start the BI pulisher using the start icon that is created on ur desktop after step-2. 1) Login to your APEX workspace, and then click on the application to which reports are to be added. 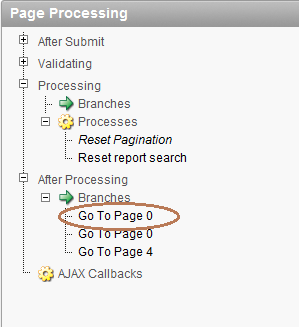 2) Click on the page with your reporting regions. 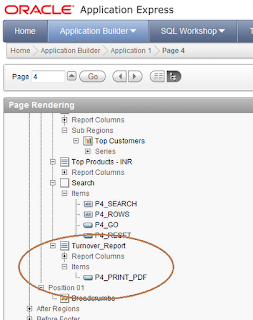 3) Now select the region for which you intend to have a report download in PDF format. 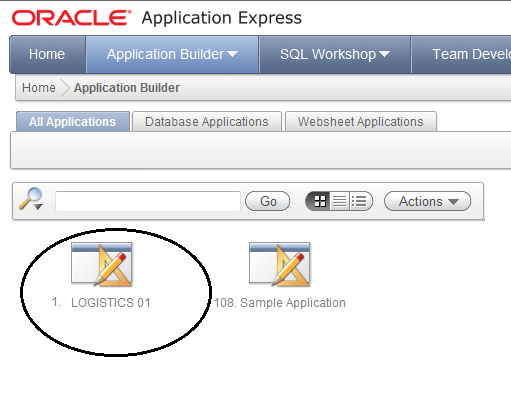 5) Now again go back to the applications and select shared components. 8) Now open MS Word, Under BI Publisher tab. 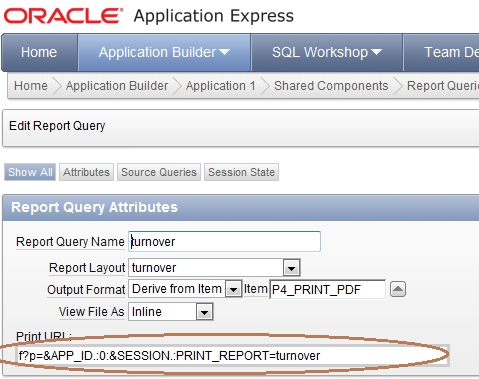 Click on Sample XML, and select your sample XML you saved on step-7, The XML data will be loaded into the word. 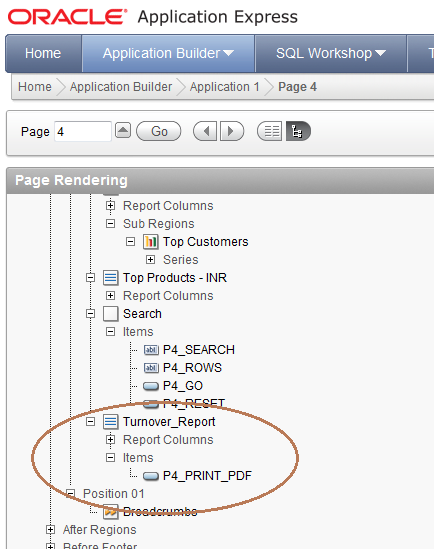 9) Now using table wizard, design your report layout as you require. 10) After creating the report table, you can preview the report(of course with actual data), in various formats. 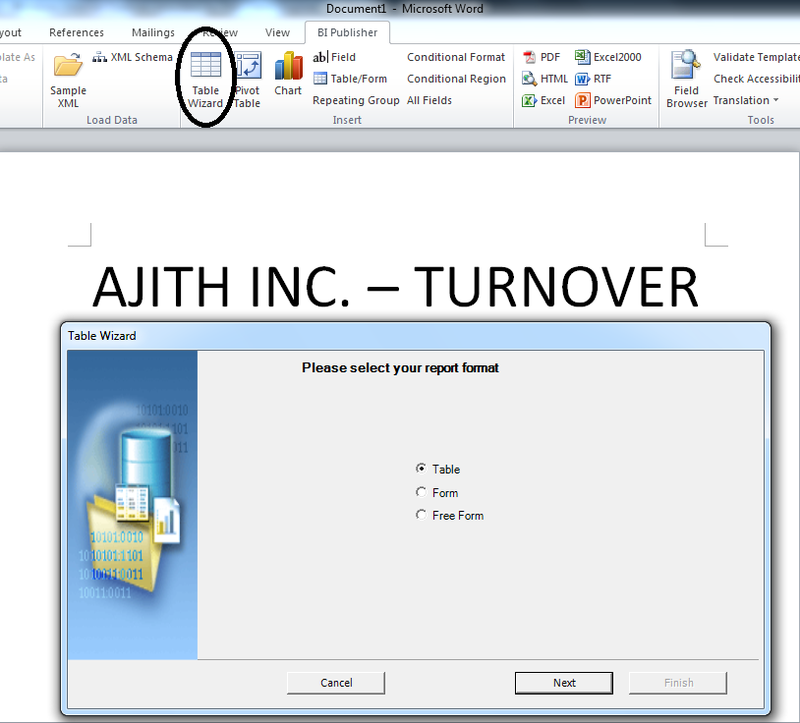 11) Save the word report layout created as turnover.rtf. 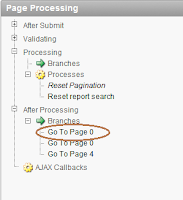 14) Now, you are all set to test your report, run your reports page in your application, and just click your button to view your repor tin PDF format. 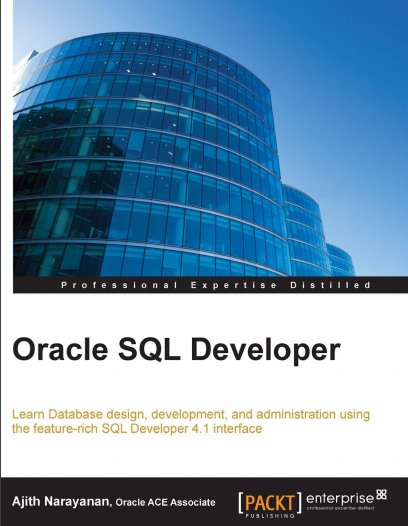 Thanks, This blog is really helpful when struck with an Oracle issue.